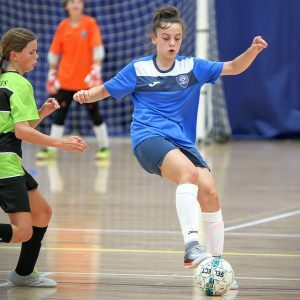 WITH FUTSAL SET TO FEATURE AT THE YOUTH OLYMPIC GAMES (YOG) BUENOS AIRES 2018, OLYMPIC.ORG TAKES A CLOSER LOOK AT THE HUGELY POPULAR FIVE-A-SIDE FOOTBALL FORMAT. Futsal is an exciting, small-sided football game that is mostly played indoors. It was originally developed in Montevideo, Uruguay, in 1930, when a local coach grew tired of cancelling matches and training sessions due to rain-soaked pitches and so created a version of football that could be played in smaller indoor sports halls with only five players per side. Around the same time, similar games were also being played on the streets of Brazil, where a shortage of playing pitches and a lack of space in crowded cities saw football-mad youngsters favouring smaller-sided games wherever they could play them. 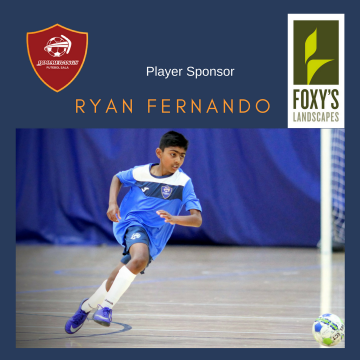 There can be no denying that futsal has enjoyed continuous and remarkable growth over the past decade. Solid proof of that trend comes in the form of increased numbers both of registered players and leagues now run under FIFA rules – factors that have had a direct impact on improved standards in both domestic and international competitions. Further evidence of this leap in standards was on display at the last FIFA Futsal World Cup, arguably the most evenly matched edition to date, as well as the quantity of emerging nations making a splash in the discipline. 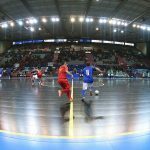 In its quest to continue the sport’s evolution in the most organised way possible, the FIFA Executive Committee, at its meeting of 18 and 19 December 2014 in Marrakech, approved something that world football’s governing body has long sought: the first ever futsal international match calendar, which covers the period of 2016-2020. “It’s like this, the global growth of futsal means that a unified calendar has become indispensable,” said Jaime Yarza, Event Manager for the FIFA Futsal World Cup, when speaking to FIFA.com. 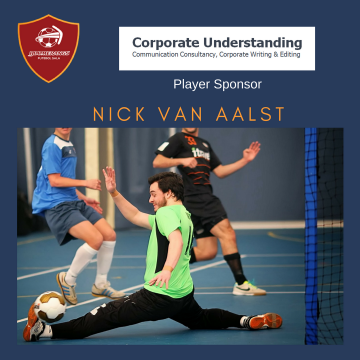 “Everyone involved in the sport – FIFA, the confederations, associations, leagues, clubs, players, sponsors, media – needs to be able to plan for the sporting season in advance. And being able to do that for the next two or three years is better than for just one. The new calendar, whose opening cycle will include the next two FIFA Futsal World Cups, is based around players’ mandatory release to their national teams, depending on the various stages of international competition. “We’ve tried to take into account the interests of all parties. First of all, we’ve set aside 12-day windows for the final stages of the confederations’ senior national-team championships. Now confederations will be able to properly prepare both their competitions and specific sponsorship programs. It even makes choosing host nations easier,” added Yarza, in reference to events such as the UEFA Futsal EURO and the Copa America de Futsal. 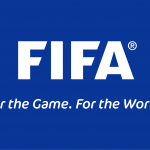 In addition to the final stages of confederations’ championships and the FIFA Futsal World Cup, the calendar also includes two international windows, called Type I and Type II. “The first type lasts for ten days, during which national teams can play up to four friendly matches, but which can also be used to carry out fund-raising events or extended periods of preparation, for example for the World Cup,” explained Yarza. “The second type is for four days and allows no more than two matches. Again, it will be up to the associations to decide how they make use of the time. The following is from the Football NSW website. 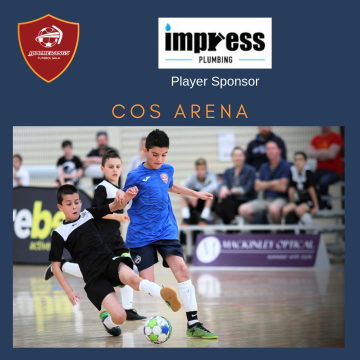 The Futsalroos showed why they sit 24th in the world futsal rankings as they completed a Trans-Tasman Cup series clean sweep proving too strong over our neighbours taking out all three matches. 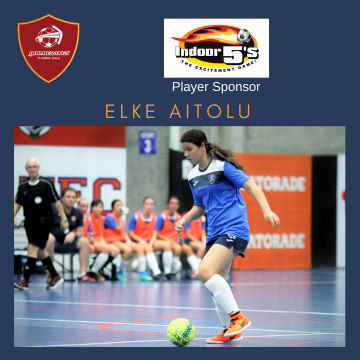 This ended a great tour by the Futsalroos who kicked off Game 1 with a 5-3 win. 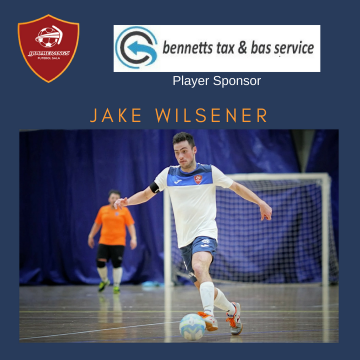 Goals to Jarrod Basger, Tobias Seto, a double from Wade Giovenali and an own goal was enough to see off the Kiwi side in front of the 600 plus spectators at the ASB Centre in Wellington on Friday. 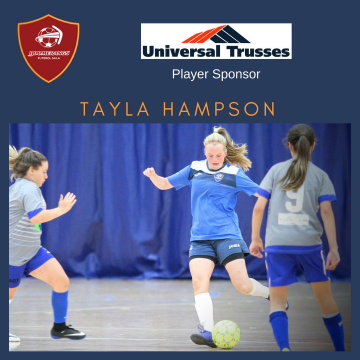 The Futsalroos then put on an impressive Game 2 performance which put them on their way to a comprehensive 6-0 victory over the Futsal Whites on Saturday night, where they secured the Trans-Tasman Cup in the process with a game to spare. Jordan Mundell grabbed a hat-trick while Jarrod Basger, Wade Giovenali and Chris Polkinghorne added the rest. In Game 3, the squad resisted to rest on their laurels and finished the clean sweep by defeating the Kiwi side 7-1. Jonathan Barrientos scored a double while Wade Giovenali, Chris Polkinghorne, Jarrod Basger, Adam Cooper and Callum Smith added the remaining goals. 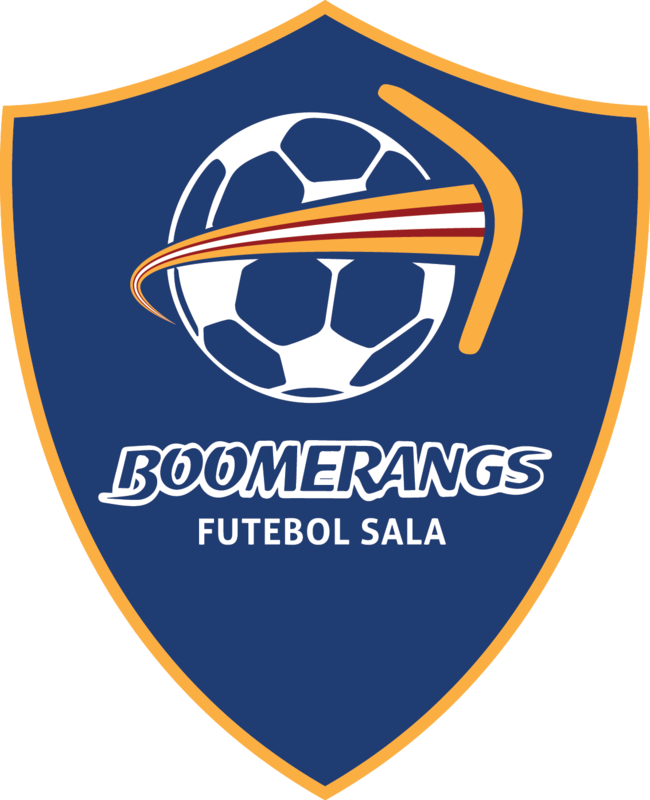 Boomerangs FS is on the lookout for a major sponsor for its 2017 F-League campaign. Boomerangs have a proud track record in the nation’s highest league. There are many talented players in these two teams and a raft of young talent coming up through the junior ranks. 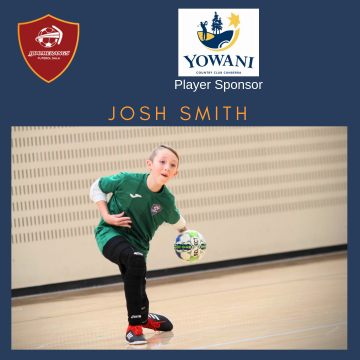 Indeed, three recent Boomerangs players – Angelo Konstantinou, Daniel Fulton and Cal Smith – have represented Australia (Futsalroos) at major international competitions including the World Cup. 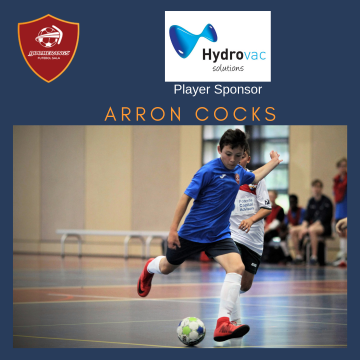 A further three men’s players have – at various times – been called into a larger Futsalroo training squad in the lead up to major competitions. 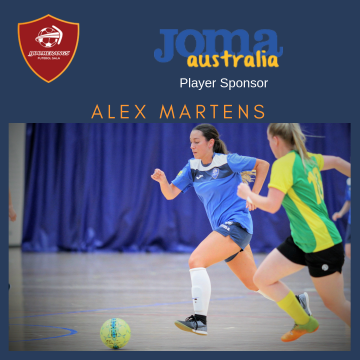 There is not yet an FFA Women’s national team, however there are several Boomerangs women players who would be likely selections in an Australian FFA endorsed team. 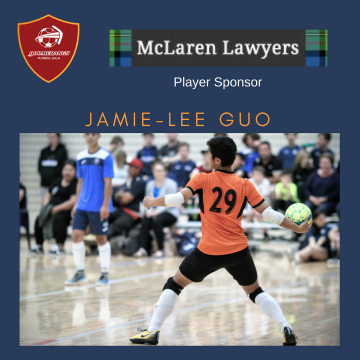 The F-League however, is a significant cost burden to the club and requires the Boomerangs to raise over $30,000 to allow participation of both a men’s and women’s team in this elite Australian League. 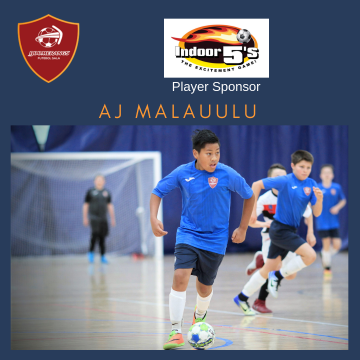 Player registration fees for the 2016 season needed to be high to cover these costs – and all players were asked to find individual company sponsors to help cover the costs to participate (of roughly $900 per player per F-League season). 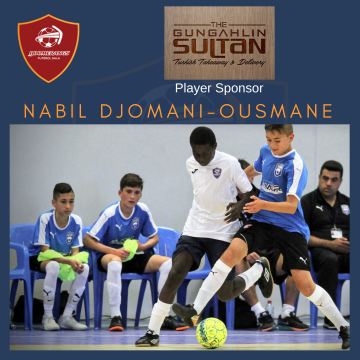 The opportunity therefore arises for a major sponsor to come on board to partner with the Boomerangs for the 2017 F-League season and beyond. 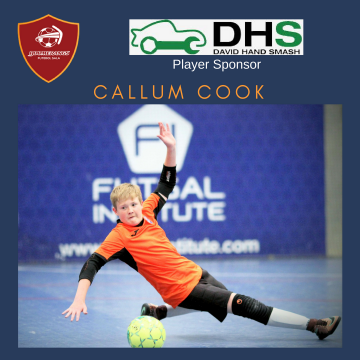 Shirt front sponsorship is available, as is significant exposure on all Boomerangs online properties (including this website, Facebook, and Twitter pages and our Google+ photo site). Visitor numbers are increasing significantly across all of those online channels. There is also online exposure through the match videos hosted online at the F-League YouTube channel. 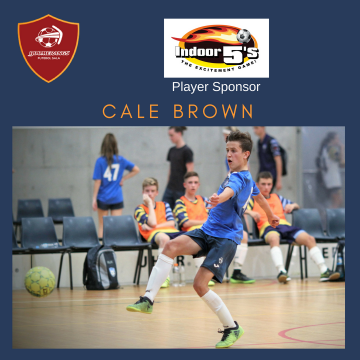 Capital Football also helps to promote the Boomerangs in the F-League (and the FNSW Premier League). 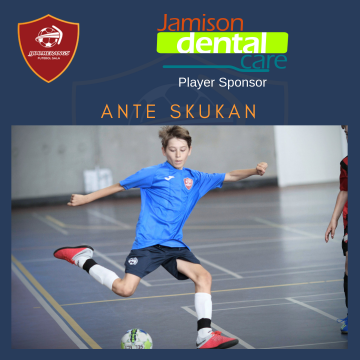 There may also be opportunities for logos to be included on our growing range of supporter wear, available from Joma Australia. 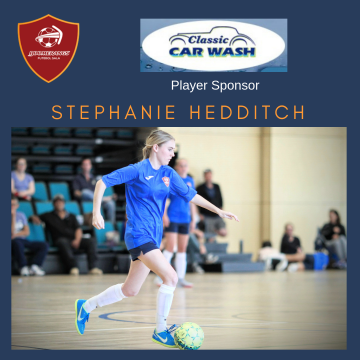 If you wish to speak with us about potential sponsorship opportunities, please hit us up on the contact page, or come along to a home game (FNSW Premier League) and speak with Kristian or Robert. 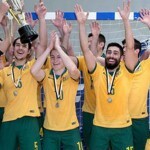 The ACT retained their Open Men’s crown with a come from behind 3-1 win over NSW Thunder in a full blooded encounter in front of a large crowd at the AIS Arena. But they didn’t have it all their own way as the Thunder more than played their part in an excellent contest. 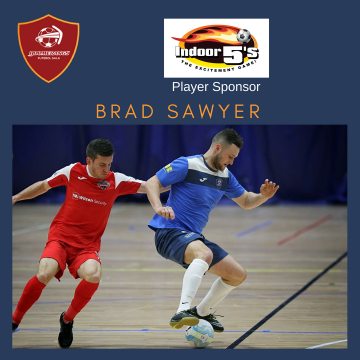 Jarrod Basger was instrumental in the opening goal of the game as the Futsalroo international won the ball mid-court with a press and got away a shot under pressure that Angelo Konstantinou could only save with his heel. The ball ricocheted kindly for Jordan Mundell who arrived at the back post to slide into the empty net. ACT chances were few in the opening half with Stephen Domenici going closest, prodding a shot at goal that Andrew Haim saved superbly low down to his left. The reigning champions were a different outfit after the break and equalised in the 22nd minute as Michael Reeve was alert to a Daniel Bennett kick-in to slide the ball past Andrew Haim. And within two minutes they were in front. Bennett, who had earlier missed a sitter, made up for his error by beautifully finishing a long pass from Konstantinou past the advancing Haim. Needing to chase the match the Thunder used the fifth man ploy but was caught in the final seconds as a loose ball inside the ACT area was sent the length of the court into the empty goal by Captain Trent Flanigan to seal back-to-back titles. Goals in extra-time from Dmelza Howard and Rachel Perrins gave NSW Thunder a 3-1 extra-time win over NSW Lightning in the Open Women’s Grand Final. Lightning was out of the traps in a flash and stunned Thunder with an early strike. The Thunder was the architects of their own downfall, gifting possession to Dominique Caridad mid-way inside their own half. With no-one between her and the goal Caridad raced away and picked her spot, bludgeoning a right foot shot past Tani Rosekelly who stood no chance. Lightning, who has only conceded one goal all week prior to this game, slipped into defensive mode and threw their bodies in the way of everything that the Thunder could throw at them. When Thunder did break through the Lightning rear-guard Sarah Easthope was in no mood to be beaten and Lightning led by 1-0 at the interval. The pattern was set for the second half but the Thunder eventually found a way through. A deflection took the ball into the path of Doris Osman who made no mistake sweeping the ball past Dana Buttigieg and into the near post. Despite half-chances at both ends neither team could net a winner and the match headed into extra-time where Thunder emerged victorious. 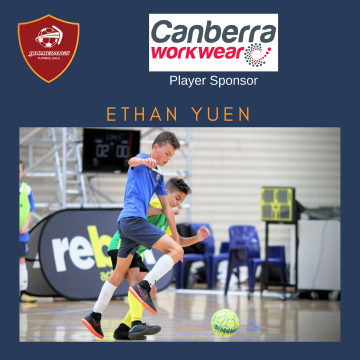 NSW Thunder was crowned Youth Men’s champions with a 4-0 win over the ACT at the AIS Arena but the final score-line certainly didn’t tell the full story of an exciting match. Whilst there can be no doubting that Thunder deserved the win, the ACT fought to the end but couldn’t find a way past a Thunder side who defended well. After a goal-less stalemate in the first twenty, it took the Thunder just seven seconds to take the lead, Jonathan Barzel pouncing on a loose pass to pick his spot past Zac Sorenson. The ACT looked for a way back but was caught by a superb second Thunder goal as Robert Ezekiel smashed home the second. 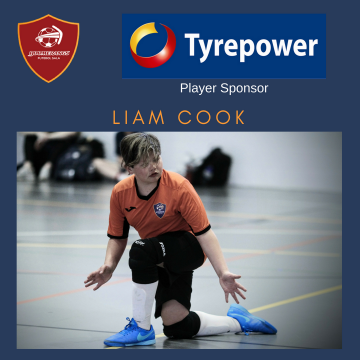 And Thunder virtually sealed the result with a third moments later as Pat Crane picked off a pass and burst clear to score with a combination of pace, power and precision. 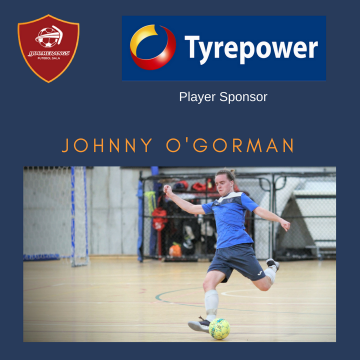 As the ACT played fifth man for the majority of the final eight minutes a fourth seemed inevitable and Thunder put the icing on the cake with Daniel Fornito sealing the result with a brilliant fourth in the final seconds, chipping into the empty goal from distance. 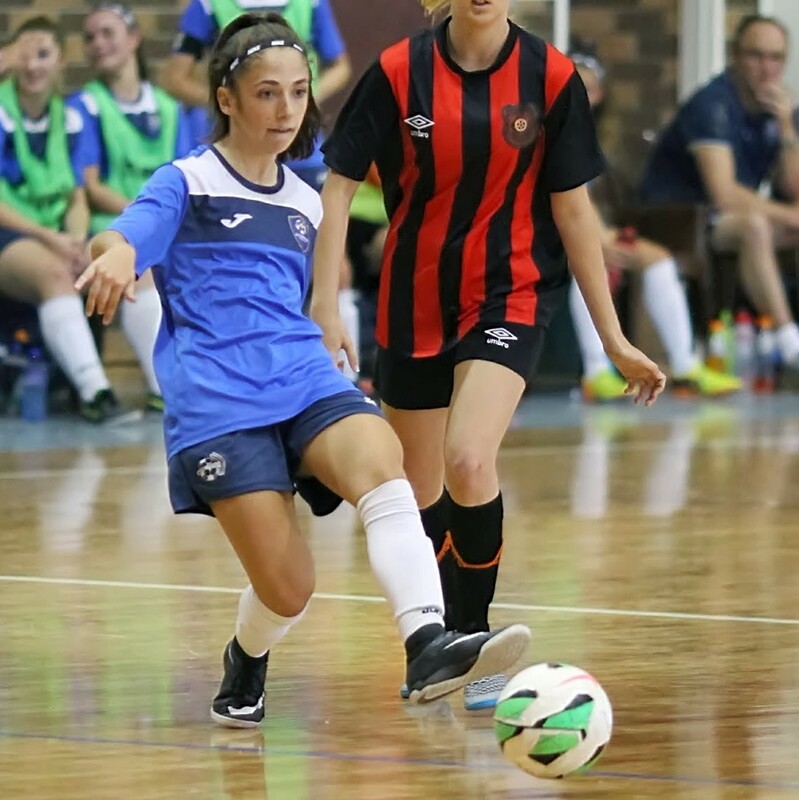 A hat-trick from Rhianna Pollicina was the highlight of a wonderful all-round team performance from NSW Lightning who defeated CT 3-1 to win the Youth Women’s championship title. 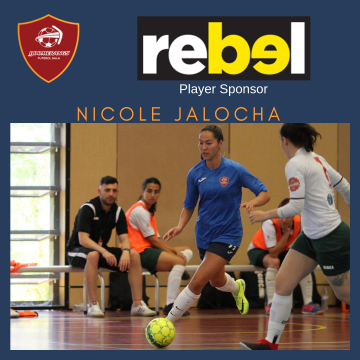 Najwa Allen drew first blood for the ACT after only three minutes, winning possession after a wayward Lightning pass and advancing on goal before hammering a right foot shot past Tahlor Thackray and into the corner. 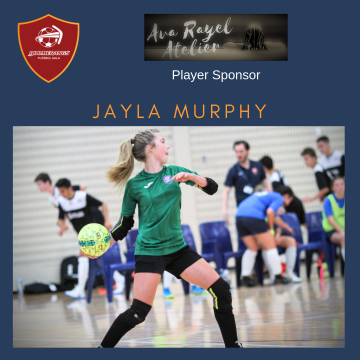 And the ACT was good for the advantage in the first half playing some excellent Futsal and denying Lightning any time on the ball. 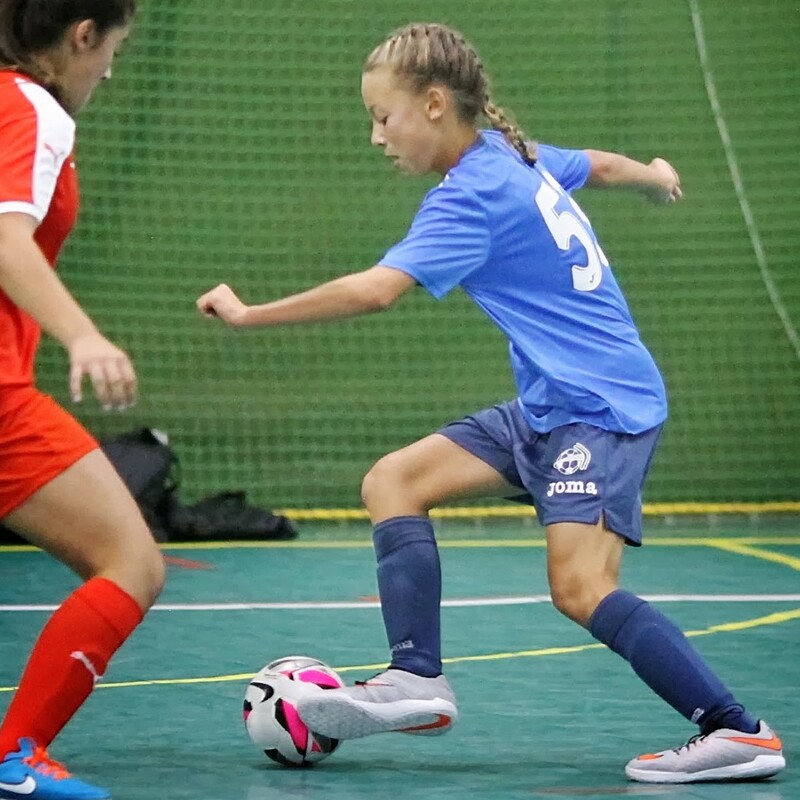 Lightning though could call upon player of the tournament Pollicina and she pulled her team level right on the half-time buzzer with a superb equaliser. 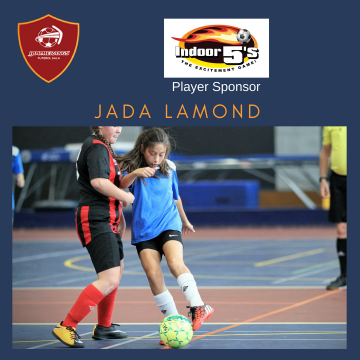 With Tara Pender in stunning form after the break the Lightning dominated possession and territory and took the lead when Pollicina’s shot was too hot for Tahlia Davidson, who was otherwise faultless,. 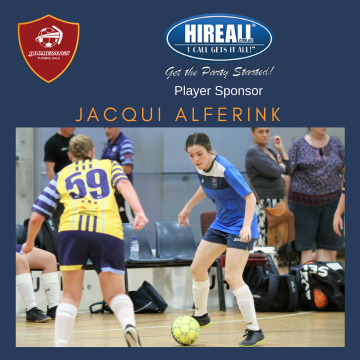 And Pollicina, the Golden Boot winner had a hat-trick three minutes later when Pender wriggled past a couple of markers and fed Pollicina who finished off the ACT. 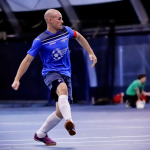 A stunning goal from Mark Olivieri crowned the ACT as AWD champions with a 2-1 win previously unbeaten NSW Thunder after a magnificent Grand Final at the AIS Arena. Olivieri struck with four minutes to play, picking up the ball mid-court and with a spin and twist of which Lionel Messi himself would have been proud, bursting away from his man, rounding another and finishing with a sensational clip over the advancing goalkeeper. 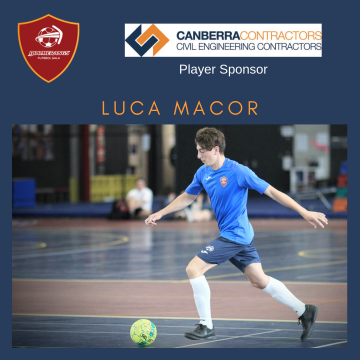 ACT started well and went close on a number of occasions before Thunder broke to take the lead in the seventh minute, Rocco Musumeci found room in the ACT final third to swivel and send a powerful shot past Cameron Gudgeon. The ACT almost levelled straight away but Mark Olivieri was denied by a terrific low save from Thunder goalkeeper Nathan Whalen. They home team equalised in the second half when Adrian Araya picked his spot to bang home before Olivieri’s moment of magic. The ACT was also indebted to a top-draw display from their international goalkeeper Gudgeon who made a string of world-class saves to deny Thunder. 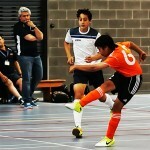 The ACT upset the form book by defeating NSW Thunder 3-1 on penalties after the match had ended 2-2 after extra-time. George Kazolis was the hero, saving twice in the shoot-out, as the ACT triumphed. In what was anticipated to be a close match the Thunder came out of the blocks strongly and found themselves one to the good after only a minute’s play. Harry Griffin-Colls took advantage of some sleepiness in the ACT defence to find the target and beat Kazolis with a smart finish. That aside there was little to choose between the teams as Thunder struck the woodwork whilst the ACT saw a couple of promising openings come to naught. Kazolis was the busier of the ‘keepers again in the second half, saving point-blank from Michael Loupis. 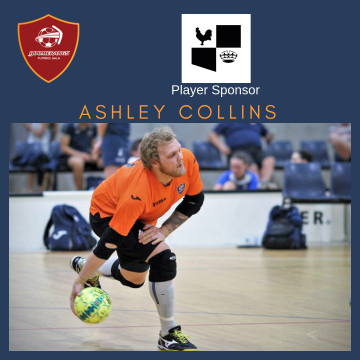 That was a crucial stop at the time as the ACT drew level within minutes as Brady Nixon supplied Anthony Giorgi with the easiest of finishes after drawing the goalkeeper which ultimately sent the match into extra-time where Griffin-Colls restored Thunder’s lead. That was wiped out by Adrian Macor with moments remaining to send the game to penalties. 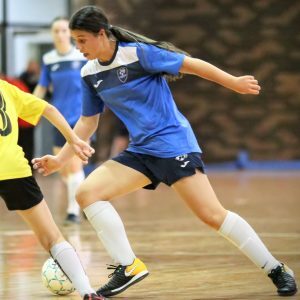 NSW Thunder finally had a championship to cheer at the eighth time of asking at the 2014 FFA National Futsal Championships after defeating ACT 6-1 in the Girls’ under-16 Grand Final. 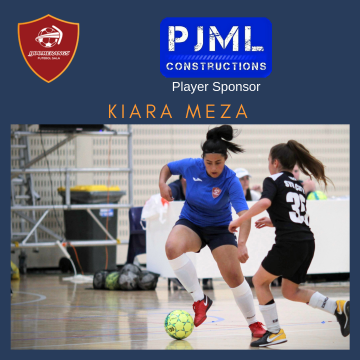 A stunning strike from Player of the Tournament Georgia Plessas kick-started the match in fine fashion as Thunder took the lead in the fifth minute. Picking the ball up half-way inside the ACT half, Plessas struck from range, the ball clipping the inside of the post on its way into the net. 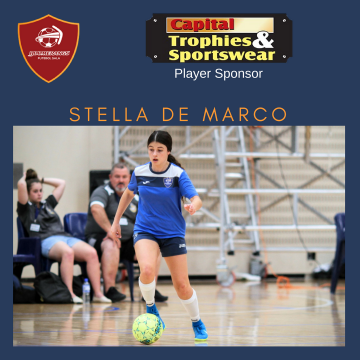 In a half that the Thunder dominated, they increased their lead three minutes before the half-time whistle when Carla Trimboli finished off a move that had the ACT chasing shadows with a competent finish. 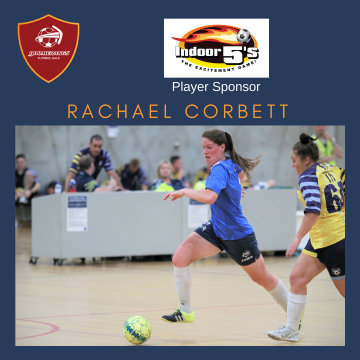 The ACT hit back early in the second half when Lorna Arkell scrambled the ball in from close range before Thunder restored their two-goal lead as Hannah Bacon found Plessas who hammered into the roof of the net. Further goals from Bacon, Plessas and Demi Koulizakis as the ACT visibly tired, completed the win for an excellent Thunder team. 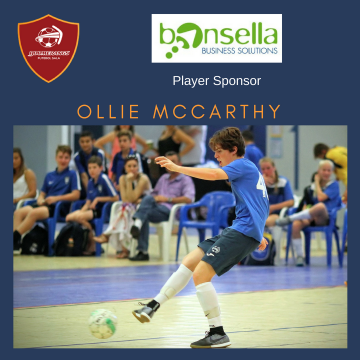 The two stand-out teams in the under-15 division met in an explosive Grand Final with Queensland Metro emerging victorious 5-4 on penalties after an epic struggle finished 7-7 after extra-time. Queensland’s Jordan Dozzi went closest to opening the scoring in an even first half rattling the post with a stunning long-range effort that left Thunder reeling. Thunder also struck woodwork themselves in an end-to-end battle that was score-less at half-time. 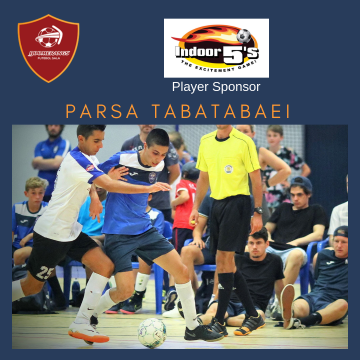 That was but a prelude to an astonishing second spell that featured a bucket-load of goals, some incredible near misses, and everything that makes Futsal such a spectacular spectator sport. An own goal from Thunder’s Jacob Basden opened the scoring in the 25th minute before Dallas Dack made it 2-0 a minute later. A sequence of three goals in a minute left Queensland 4-2 ahead before Thunder started their comeback. 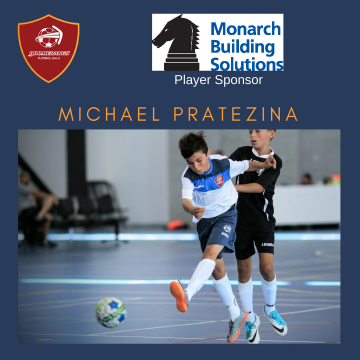 Player of the Mach Jordan Dozzi netted a hat-trick for the victorious Queensland but it was goalkeeper Matthew Willshire who emerged the hero blasting the winning penalty high into the roof of the net at the second time of asking to cap a simply wonderful match. 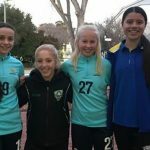 NSW Thunder’s miserable day continued in the Girl’s under-14 competition as South Australia stunned the ladder winners with an exhilarating 4-1 victory. 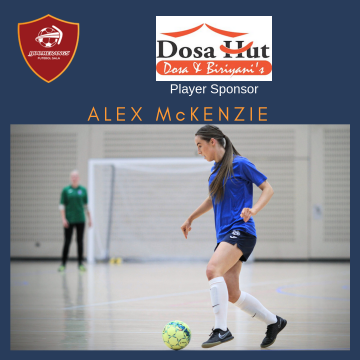 Earlier in the week Thunder had emerged from a tight group match with a narrow 1-0 win so the favourites knew that they would be in for a tough clash but could hardly have expected the way that South Australia stormed out of the blocks to take a 2-0 lead inside the opening ten minutes. 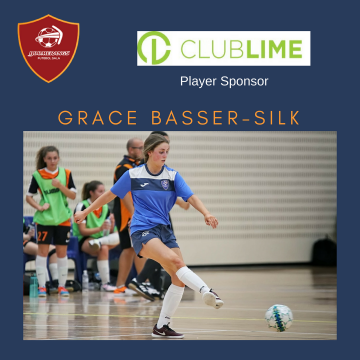 Chelsie Dawber opened the scoring in the fifth minute and Grace Abbey increased that to 2-0 four minutes later. 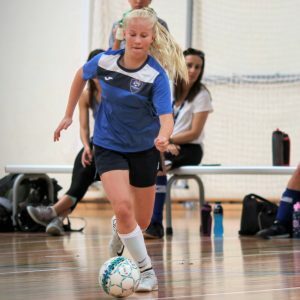 Dawber, who would go on to claim a Grand Final hat-trick, had South Australia in dreamland on 16 minutes as she converted her second and her team’s third but Thunder weren’t about to roll over. A goal from Georgia Koutzoumis reduced the arrears before the break and gave the NSW team hope of a comeback. 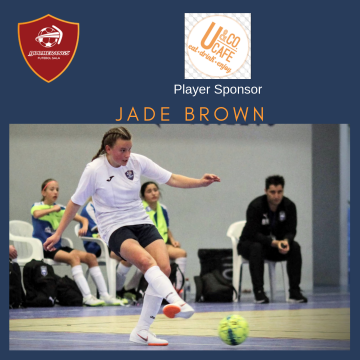 That glimmer was doused eight minutes after the resumption when Dawber bagged her treble with another calm and composed finish to seal the result. 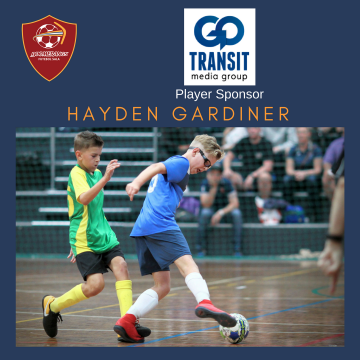 Queensland Metro continued the theme of upsets as they turned the tables on first placed NSW Thunder to win an absorbing Boy’s under-14 Final 3-2 in front of a large contingent of Queensland supporters. Metro took the lead in the match in the third minute as Joshua Nisbet found room to manoeuvre and fire home a cracking goal. It was a lead they were to hold until close to half-time when Thunder finally found a way past Player of the Match Angus Long in the Queensland Metro goal with Dilan Kahale equalising. 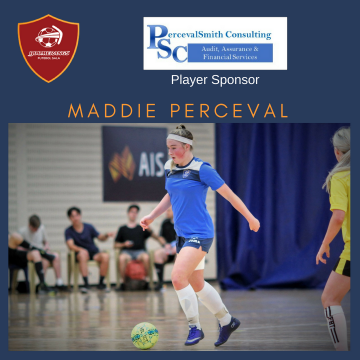 At 1-1 the game could have gone either way and when Marley Peterson put Thunder in front in the 26th minute it appeared as if normal service had been resumed. Someone though forget to tell Queensland and their fighting spirit surfaced and within two minutes they were back on terms as Duncan Stewart levelled. Far from being happy just to be back in the match Queensland poured forward and Jordan Tucker gave them the initiative once again on the half-hour, and with Long in superlative form, they never looked back from there. 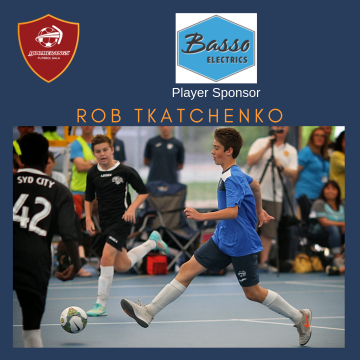 A four-minute hat-trick from Patrick Scibilio led underdogs NSW Lightning to a remarkable 6-3 victory over clear tournament favourites NSW Thunder in the Boy’s under-13 Grand Final at the AIS Arena. 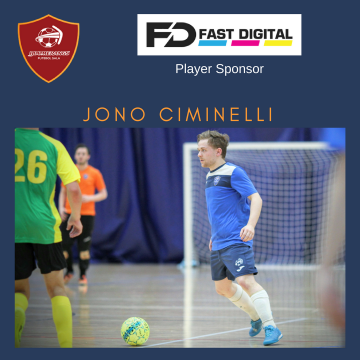 Scibilio, who ended the match with four goals, struck his treble at a crucial time as Lightning recovered from the disappointment of letting a two-goal lead slip to triumph. 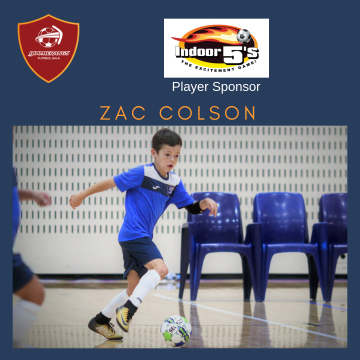 Early goals from Luke Okuda and Tallon Zahra gave Lightning a nice cushion but Thunder hit back with a brace of quick goals of their own as Carlos De Oliviera and Player of the Match Zachary Duncan bagged goals in quick succession. At 2-2 at half-time it was anyone’s game but Lightning turned it on its head with Scibilio’s hat-trick in the space of minutes. 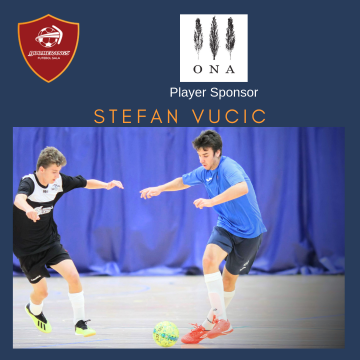 With Thunder pushing for a way back Scibilio hit his fourth goal only for Adrian Viggiani to pull one back straight away. Thunder pressed for an unlikely comeback but Lightning held on for a terrific win. NSW Lightning completed a perfect week in the Girls under-12 tournament by winning the Grand Final in convincing fashion against a valiant NSW Thunder team. 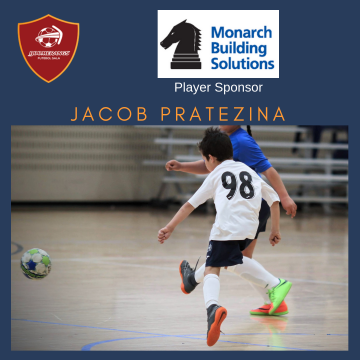 Lightning has certainly been this age group’s stand-out team and they showed it in the final showdown with a 5-2 victory over their peers in an exciting match. 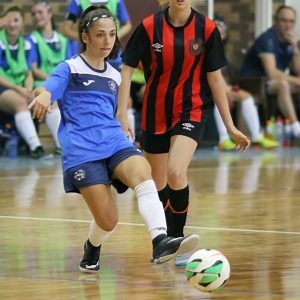 Lightning laid down their marker early on with Player of the Match Isabella Volkanovski netting twice in the space of two minutes. Courtney Nevin drilled in the third a minute later and Lightning was well on course. 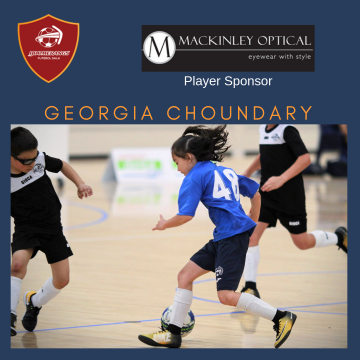 Georgia Usherwood pulled one back for Thunder just before half-time to give them a glimmer of hope but Lightning started the second half in a strong manner and increased their lead with a goal from Anastasia Grozdanov and an unfortunate own goal from Thunder’s Lara Bosnich. Emily Dorahy netted a consolation towards the end but Lightning was worthy champions. 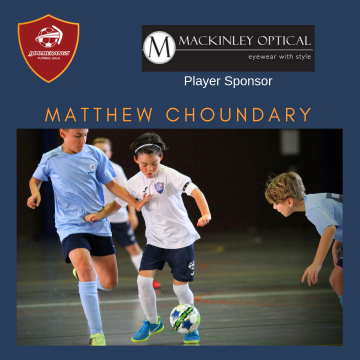 Queensland Metro caused the first surprise of the day as they claimed the Boy’s under-12 title with a 4-2 win over the favourites, NSW Thunder. And, whilst the final score may have been an upset considering their final positions on the ladder, the manner of Queensland’s victory certainly was not as they fully deserved to come away with the win. It wasn’t all plain sailing for Queensland who had to come from 2-0 down after the Thunder had got off to a brilliant start scoring twice in the first eight minutes. 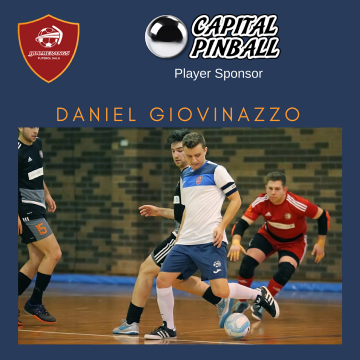 Angelo Kalamovokis and Yousef Sawalha netted early on to put Thunder in control but Queensland began their come back in the fifteenth minute as Leum Walpole reduced the deficit. Crucially they were level before the break as Ethan Wildermuth equalised close to the half-time whistle. 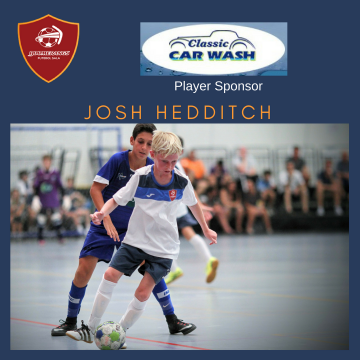 Player of the match Jack Bolton gave Queensland the lead two minutes after the resumption and when Joshua Dearn made it four six minutes later, there was no way back for Thunder. 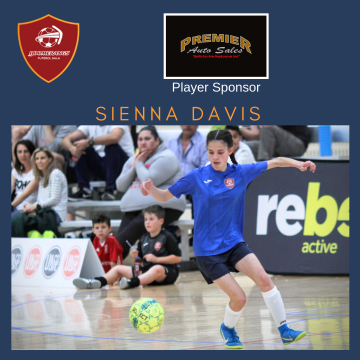 Round 14 this weekend sees the final round of matches in the 13/14 FNSW Premier League before finals. In Round 7 late in 2013, the Boomerangs had the least successful away trip for the season and managed to only pick up three competition points from a solitary win on the day. The drive home from Riverwood that evening was not overly enjoyable! For this round however, it is clear that all nine Boomerangs teams will need to put in their strongest performances of the season if they are to come away with wins and vital Club Championship points. Magic have already wrapped up the Club Championship for the season, and have most of their teams either vying for a finals position (top four) or indeed a top two position to give themselves a double chance in the finals series. 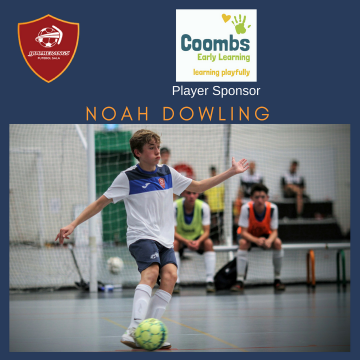 12 Boys – Our boys are still in with a shot of making the finals if they can manage a win over the strong Magic team that has lost only a single game all season (8 wins, 4 draws, 1 loss). In addition, we need to see either Mascot beat Majik (would be a big upset), or Quake beat Dural (which is possible). All the boys can do though is play the game in front of them and hope for favourable other results. 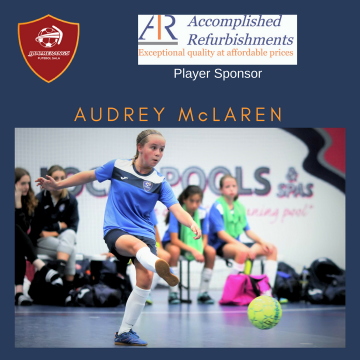 12 Girls – Our girls will need to continue the good form they have shown the past few weeks if they are to beat this Magic team (12 wins, 1 loss) that sits atop the competition table and needs a win to confirm it’s top position. 14 Boys – Another game where Magic need to win to confirm their top spot position on the table. Another tough encounter for the Boomerangs lads, but a challenge they will meet head on. 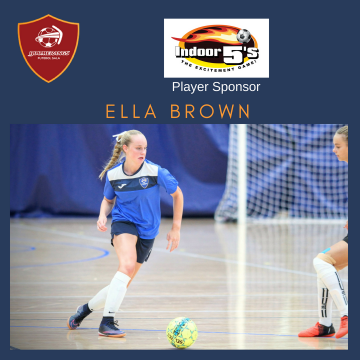 14 Girls – A win by the Boomerangs will threaten the double chance opportunity Magic would receive by sneaking into the top two. These girls had their first win last week against Phoenix and may well have the confidence to go on with it for another this weekend! 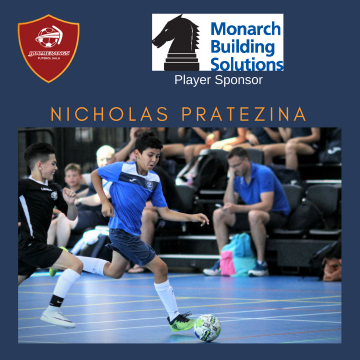 16 Boys – Both Magic and Boomerangs 16 boys are out of contention for finals and this will be a game playing for pride, and a final win for the season. The way the 16 boys have been playing in recent weeks gives confidence that a win is in the offing. 16 Girls – Magic will be playing for top spot on the final ladder for the season and will be difficult to knock off. The 16 Girls though have been playing much more aggressively in recent times and could give the Magic girls a real scare. 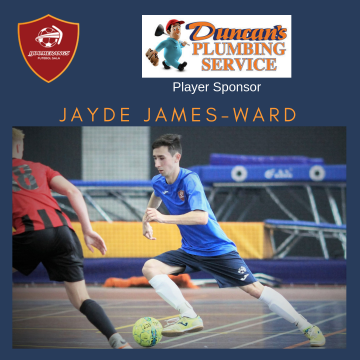 Youth Men – A win by the Boomerangs Youth could see the Magic lads miss out on the top four spot should other results not be in their favour — the Magic Youth though could also finish as high as second on the ladder with a win. A critical match for the Magic – but one where the Boomerangs Youth will see themselves with a real chance of taking the points – as they did in Round 7. Open Women – The Boomerangs women played some sparkling futsal last week and look to be back at their best. 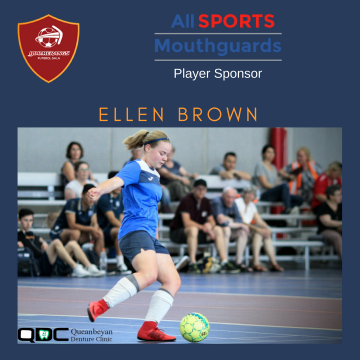 It won’t be an easy task for the Magic to knock off the seventh placed Boomerangs Women to elevate themselves from their current fifth position to third or fourth – and a semi final berth. 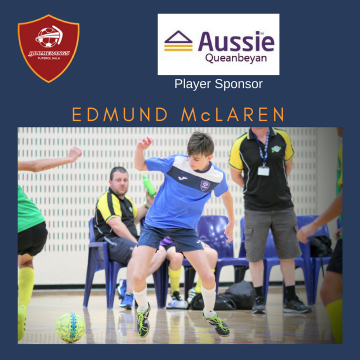 Open Men – Just the second only Boomerangs team still looking at finals futsal this season and can remain in second place with a win – but finish as low as fourth with a loss. Magic currently sit in fourth position, but could end up in second with a win, and if Dural defeat Quake. This will be a cracker of a game to finish off the day. 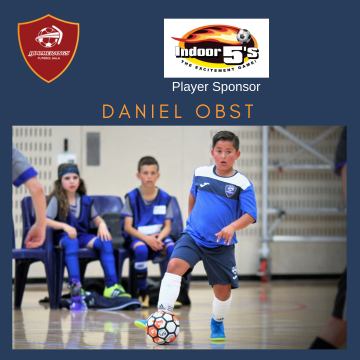 A preview of the Open Men’s matches by Dan DeNardi for Football NSW can be found HERE. The games kick off at the Southern Cross Basketball Stadium in Tuggeranong, from 1pm with the Open Men’s kicking off just after 7.00pm. Please note the changed venue and the changed times. 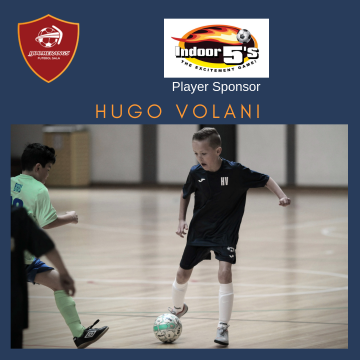 This weekend sees the commencement of the second half of the 13/14 season as the Boomerangs travel up the Hume Highway for the third weekend in a row to take on yet another FNSW Futsal powerhouse club, Dural Warriors. Earlier this season – in Round 1 (at home in Canberra), the Boomerangs managed to come away with four wins and two draws, which was a fantastic start to the season, given the known strength of the Dural club across all age groups. Back in October, wins were secured by the Boys 12s and 16s and the Open Men and Women. The 14 Boys and 16 Girls split the points with their Warrior opponents and the Warriors took full points in the 12 and 14 Girls and the Youth Men. At the conclusion of the first half of the season, the Dural Warriors sit in fifth position on the Club Championship table with 96 points from 28 wins and 12 draws. This is lower than most pundits would have predicted at the beginning of the season. Clearly the Warriors will be looking for a stronger back end of the season. This is also what is required of the Boomerangs, currently sitting at the bottom of the club championship table with only 19 wins and 6 draws (for a total of 63 points). Whilst Dural remain in touch with the top half of the table, the Boomerangs sit in a cluster of three clubs that will be battling it out to not be the team that finishes at the tail end of the table. After seven rounds of the 13/14 season, Dural’s best performing teams include their 12 Boys (4th), 12 Girls (3rd), 14 Girls (1st), Youth men (1st) and their Open Men (3rd). Based upon relative table positions and results from Round 1, the Boomerangs will be looking hard at wins in the 12, 14 and 16 boys, the 16 girls and both the Open Women and Open Men’s games. The others age groups could also throw in surprise wins!! 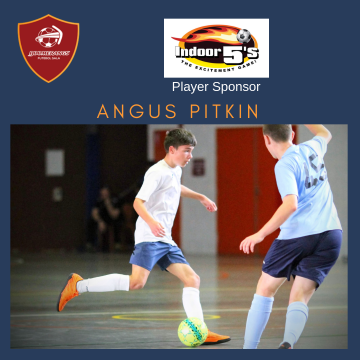 Once again the marquee game – the Open Men’s will be a cracker – pitting two of the top teams in Australian futsal against each other. 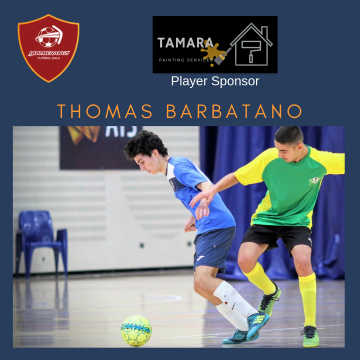 The Boomerangs men coming off the back of a loss to Inner West Magic last weekend, and the Warriors having a tough physical encounter resulting in a 3-3 draw against Quake last weekend (after an earlier catch up match the night before against Mascot Vipers resulting in a 6-1 win). Both teams have suffered only one defeat each this season, and this match will provide an opportunity for the winner to assert some psychological advantage before a potential clash in the finals in three month’s time. The weekend will certainly be challenging – being away at Dural, but the Boomerangs teams have all trained well and are ready and focused for top notch performances this weekend. The Football NSW preview of the Round 8 Men’s matches can be found HERE. 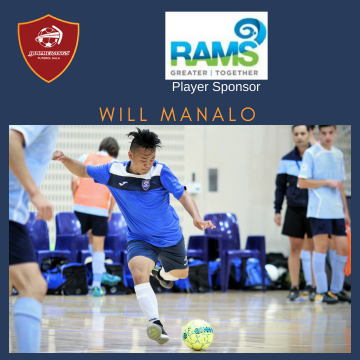 Round 7 of the 2013/2014 Football NSW Futsal Premier League was an away round to Riverwood up against one of the leagues powerhouse clubs, Inner West Magic. With many of the Magic teams either topping the table or pressing for top spot, it was always going to be a big ask to return with more than a few wins from the day. However as the day panned out, Magic won both the 12s games and from there the momentum stayed with them for the majority of the day – at least until the Youth Men match. 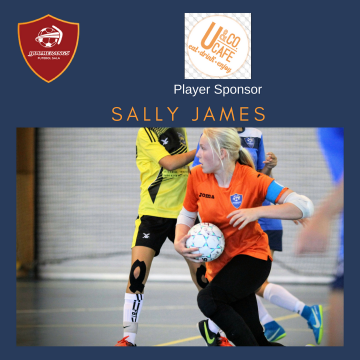 Having less than full strength squads for both the Open Men’s and Women’s teams was the final straw, and losing both those games meant a solitary win – an unexpected one at that, was all that could be achieved from the days’ outing. So the trip to the Morris Iemma Stadium in Riverwood garnered the club a mere three club championship points – and sees the club fall to the bottom of the club championship table. Definitely not a place the club wants to be at the half way point of the season. The 12 boys once again proved they could match it with the best teams in this competition. They remained competitive throughout the match and put together a solid and disciplined performance. Unfortunately, they just couldn’t slot the ball into the back of the net often enough to bring home some points. 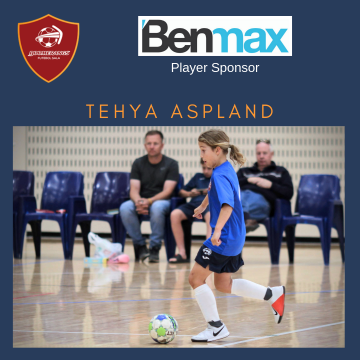 The 12 girls ran out of legs late in the second half, having too few subs on the bench, and ended up falling 9-1 to a well drilled Inner West team. This was an unlucky match for the girls who played well early to match it with the top of the table team, but couldn’t sustain the energy levels to keep the defence solid for the full 40 minutes. It was only in the last 10 minutes that the Magic girls made the Boomerangs pay heavily when they blew the scoreline out. A physical, fast and attacking game resulting in a 13-4 loss for the U14 boys. Our boys were not up to the same level as the Magic boys and couldn’t match the skill, speed, intensity and goal scoring ability. More work to do for the boys to pick themselves up after this. A few missed chances early on made all the difference in this game. Had the 14 girls slotted a few early chances then the game may well have played out totally differently. As it was, the Magic took their chances and ran away with it as their confidence built the longer the game went on. A topsy turvy game as Inner West squeezed out a hard fought 6-3 win in the U16 boys. The Boomerangs boys were right in this match and very competitive till the final few minutes – even leading at several stages throughout the game. An encouraging performance for the boys as they worked hard right until the final whistle; outdone by only a few unlucky bounces and slices of luck going Magic’s way. Finally the Boomerangs day produces a victory – and an unlikely one at that. 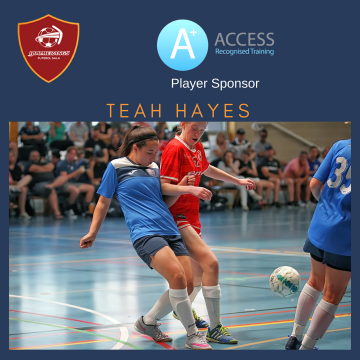 This youth team, after much success last season (for the many involved in the 16s Grand Final winning team), have had difficulty stepping up to the faster and more physical youth competition. 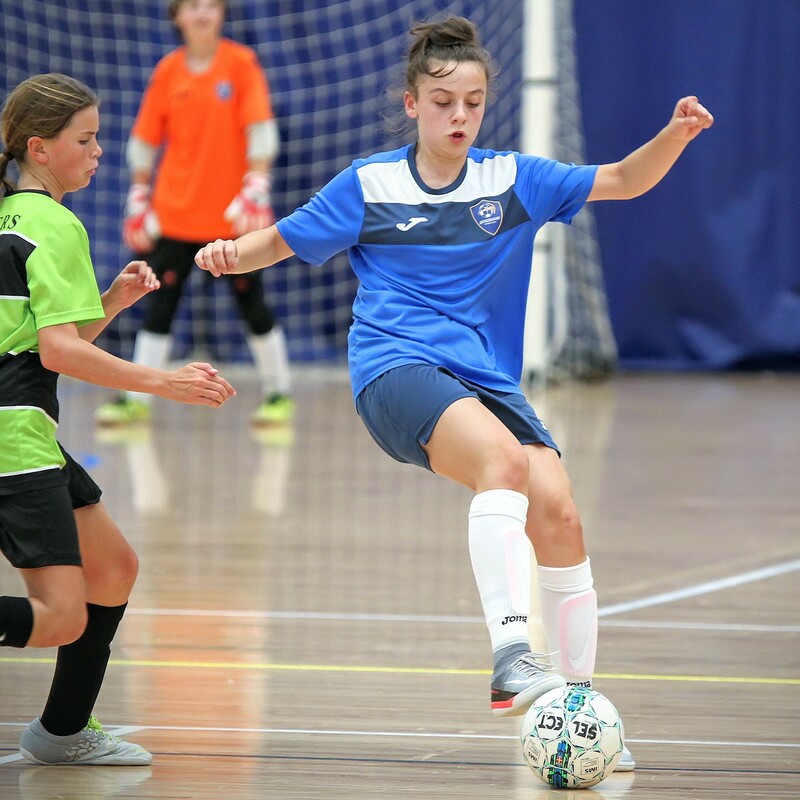 An extremely tight match with a nail-biting finish saw the under 19s pull out a 2-1 win in a brilliant exhibition of futsal that was a thrill to watch. It was high drama and suspense as the 1-1 half time score was quickly converted to a 2-1 lead soon after the second half started…. and there it remained, though not for want of trying by both teams. Perhaps like the 16 Girls, this team can produce more victories in the second half of the season. Another case of chalking up a loss due to lack of regular players being available for this match. Indeed the majority of the playing roster were 16s, including the ‘keeper. And it was always going to be tough for the team, with so many 16’s filling in, it showed as Inner West were full of energy, maturity and experience and ran out 6-2 winners. With only the regular first choice goalkeeper being a starter and the other four first team starters either unavailable or injured, this was always going to be a difficult match to be competitive in. A valiant effort though from this depleted men’s squad with the regular bench players stepping up to starting spots and significant court time, and the exhausted youth players filling the rotation spots off the bench. 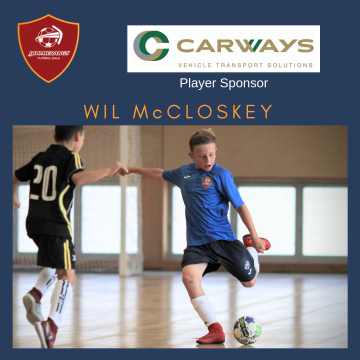 The players that did turn up played out of their skins and kept the Boomerangs in the match right until the last few minutes, when some late goals against saw Inner West run out 5-2 victors. Nothing much can be read into this result at all, except to highlight the value of the four missing Boomerangs starters. Inner West should take little out of the win, except for the three valuable competition points. The Football NSW review of the weekend’s men’s matches can be found HERE. The Club Championship table after Round 6 can be found HERE. 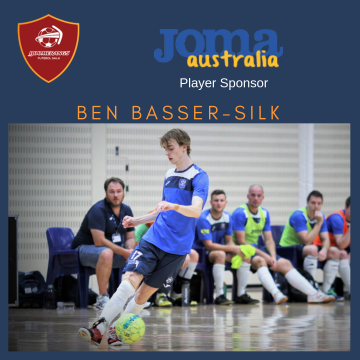 This weekend sees the completion of the first half of the 13/14 season as the Boomerangs travel up the Hume Highway along the M5 to Riverwood and to the Morris Iemma Sports Centre to play one of the NSW Premier League’s powerhouse clubs, Inner West Magic. 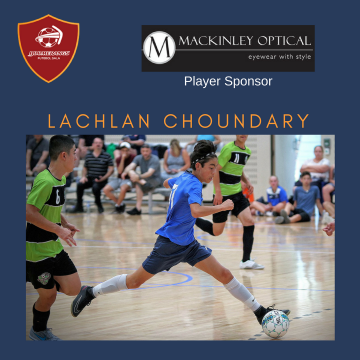 Magic were last year’s Club Championship winners and are generally strong across all age groups, so will present plenty of challenges to the Boomerangs teams. After six rounds of the 13/14 season, Inner West sit second on the Club Championship table with a number of teams leading their age groups, including the 12 boys and girls and the 16 girls. Their 14 boys are sitting in equal second position on the league table and their 14 girls equal fourth. Their only apparent weakness is in their 16 boys (with only one win from six matches so far) and their Open Women’s team with two wins from six games played. The weekend will certainly be a challenge for all Boomerangs teams and they will need to be at their best to take home points from this crucial round. At the top of the tree, the Boomerangs Open Men’s team still lead the competition, with the Futsalroo-laden Magic team in equal third (which may be second or third after two catch up matches played tonight and tomorrow night – Magic v Phoenix Thursday 21 Nov, and Dural v Mascot Friday 22 Nov). For the Boomerangs men’s team, this will likely be the toughest challenge to date this season and Magic will push them all the way. If the Boomerangs Open Women’s team can assemble a full squad for this away game and play to their potential, they should – on form – overcome the Magic Women. Dan De Nardi from Football NSW has previewed the four Round 7 Men’s match ups HERE. The games kick off 1.15pm. We have been advised on Friday of late changes to the kick off times. All times are now 1 hour earlier than previously notified.